Features such as the easy-to-read map, the map layers, and machine details will all be available in the new mobile app. 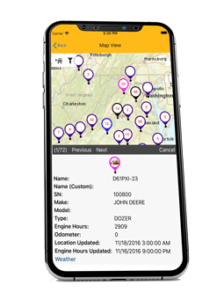 The map layers include the combined view, DTC (Diagnostic Trouble Code) alert view, inspection view, and more. App users can also access machine details such as the hours, odometer readings, machine name and the serial number. New features will be added to the app as customers provide feedback and make requests. To learn more, also visit Construction Equipment Guide.